As the title would suggest, Don Sweete has selected pieces from English composers such as John Farmer, Robert Morley and John Wilbye to include in this Suite. The works found within this collection are: A Pretty Bonny Lass, Adieu Sweet Amaryllis, Sometime She Would, April is in my Mistress' Face, and Amyntas with His Phyllis Fair. All the parts are interesting and none is too difficult. 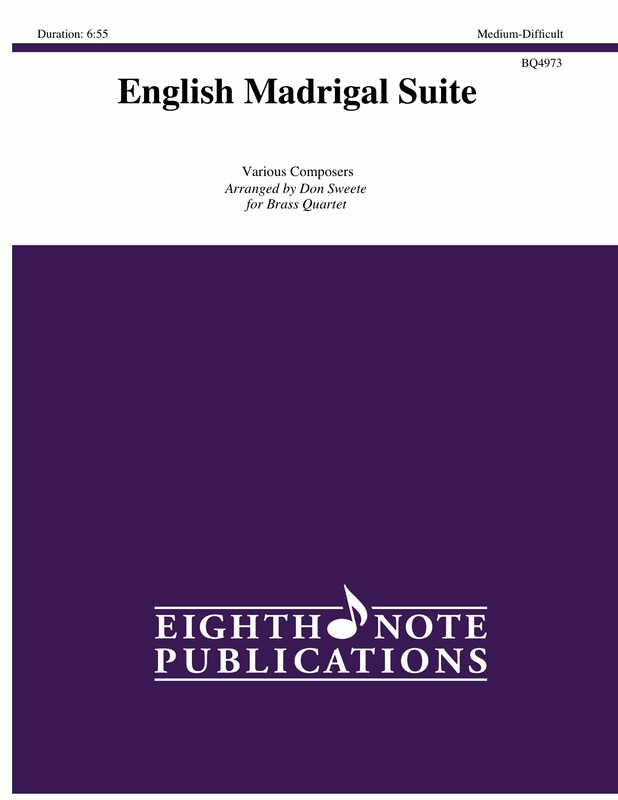 English Madrigal Suite is a great collection of famous madrigals for brass quartet.